Now, you can't really undress your fighters in King of Fighters XIII. However, you can customize them. You know what that means? You can "undress" them! 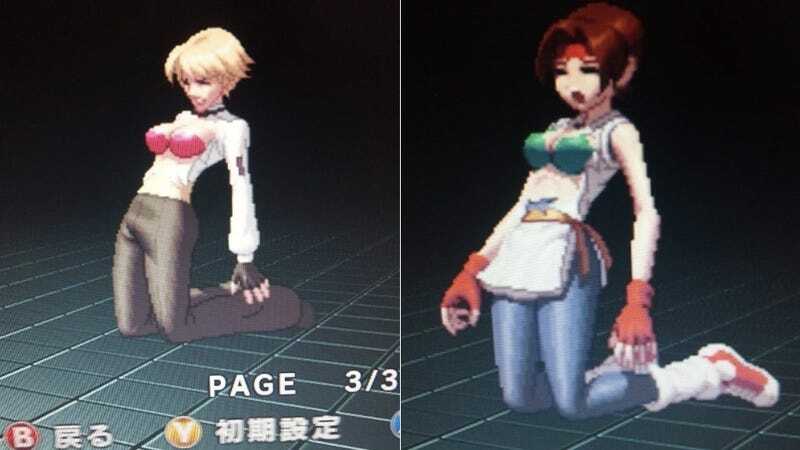 As a Japanese KOF site pointed out, it's possible to change the color of the fighter's clothes. What players do with that customize mode and which bits of clothing they color is up to them. So far, the results have been outfits that look torn and bodies that look exposed. The King of Fighters XIII will be released on Dec. 1 in Japan. More ripped clothing customization will commence shortly thereafter. King of Fighters? Oh no, king of flashers.